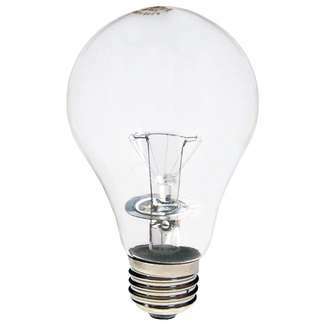 The 120 volt 116 watt obstruction lamp is the perfect companion to our Code Beacon bulbs. It is rugged, tested, quality-assured and comes with a 8,000 hour 1 year no-hassle warranty. When it comes to Task-Master™, there's simply no competition! Have a question? We’re here to help! Let’s chat. 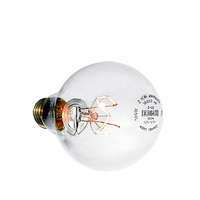 We use soda lime glass, which offers maximum clarity and means our bulbs aren't cloudy like other bulbs. Soda lime glass also allows for a high degree of thickness contol, while minimizing ring molds. Krypton burns brighter and cooler than Argon. We use the toughest, most rugged tungsten filaments, designed to withstand physical shock and vibration that would shatter ordinary filaments. They're supported at nine different points and designed to project optimum beam pattern and thus eliminate the center dead spot. The medium nickel-plated brass base won't corrode or "freeze" in the socket, even after thousands of hours of use. Long lamp life saves on maintenance and replacement costs, and reduces bulb-changing operations at precarious heights. And if a bulb burns out before one year, we'll replace it for you, no questions asked.